Betzest betting site and Casino to be launched soon! An early preview..
Betzest, referred to as the ‘King of the moment’, is a new online betting site and casino that will open its doors on early 2018. Even though right now the website is under construction we already know few details and features about Betzest! And it look really promising! Betzest is licensed and regulated by the Malta Gaming Authority (MGA) and are ready to take the gaming industry by storm. The project has been developed by a team of experienced professionals with years of experience in the industry. The project has been focused on delivery the best online gaming experience, both on desktop and mobile devices (iOS and Android tablets and smartphones). They have placed customer satisfaction above all else, and will strive to establish a trustful relationship on an individual basis. Betzest is expected to be a strong player in sports betting. A fresh and modern layout, with a bright colour scheme, excellent graphics and easy to navigate sportsbook pages will be completed by a very generous welcome offer, a VIP Program and competitive odds on all the betting markets. Betzest Casino wil offer a plethora of casino games - a complete collection of slots, table games, including classics such as Blackjack, Baccarat and Roulette provided by world leading providers in the industry such as NetEnt, Microgaming, YGGDrasil and Play'N GO. In order to accommodate players from different countries, Betzest will offer customer support in a number of languages and the site interface will be translated in six languages - English, German, Norwegian, Swedish, Finnish and Portuguese. We can't wait to give a try in this new TOP betting site and online casino! Betzest is the name, April/May 2018 is the date... stay tuned! 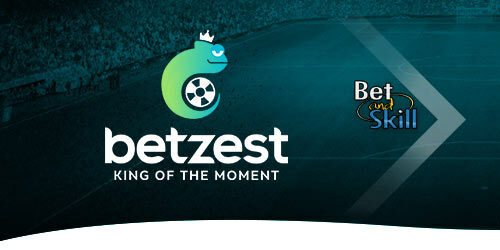 "Betzest betting site and Casino to be launched soon! An early preview.."